March 18, 1877, Hokinsville, Kentucky, between 3:00 PM and 3:30 PM, LMT Time used: 3:03 PM (Source: LMR cites biographer Doris Agee, “Edgar Cayce on ESP” Sabian Symbols gives 3:30 PM; an earlier chart by Marc Penfield gives approximately 3:00 PM, LMT) Died, of a stroke, January 3, 1945, Virginia Beach, Virginia. The spirit is life. The mind is the builder. The physical is the result. The purpose of the heart is to know yourself to be yourself and yet one with God..
Those who walk closer with the Creative Forces should indeed be full of joy, pleasure, peace, and harmony within. For life is a manifestation of God, and the manner of Life one lives is an entity's concept of what the entity would like to have its Creator be. If ye would have patience, ye must be patient first within self, and then with others. Knowledge may not be put on as a cloak, but must be an internal growth toward that which has been determined as an ideal. To be sure patience, long-suffering and endurance are ... urges that would lead to virtues, but they ease to be a virtue when the individual entity allows self merely to be imposed upon, and to take second place merely because someone else of a more aggressive nature, imposes. To be sure attitudes do influence the physical conditions of the body. No one can hate his neighbor and not have stomach and liver trouble. No one can be jealous and allow anger of same and not have upset digestion or heart disorder. Put into practice - day by day - that as is known. Not some great deed or act, or speech, but line upon line, precept upon precept, here a little, there a little. All healing comes from the divine within ... thus, if one would correct physical or mental disturbances, it is necessary to change the attitude and to let the life forces become constructive and not destructive. Hate, malice, and jealousy only create poisons within the minds, souls, and bodies of people. Remember, He is a God of Love, for He is love; a God of happiness, for He is happiness! If one would have mercy, grace, love, friends, one must show self in such a manner to those with whom one becomes associated. For like begets like. Do not consider so much what others should do for or to you, but what will you do for and towards others? Though one may be but a dot, that dot remains ever individual ... The nearer one becomes to that which will give its individuality, yet losing itself in the whole, the more individuality one attains! An error we refuse to correct has many lives. and wisdom to do something about them. of someone you have helped. Cayce became an American celebrity towards the end of his life and the publicity given to his prophecy has overshadowed what to him were the more important parts of his work such as healing (the vast majority of his "readings" were given for people who were sick) and theology (Cayce being a lifelong, devout member of the Disciples of Christ). Skeptics challenge Cayce's claim to psychic prowess, while conservative Christians also question his unorthodox answers on religious matters (such as reincarnation and akashic records). He may have been the source for the idea that California would fall into the ocean (though he never said exactly this). Today there are several tens of thousands of Cayce students. 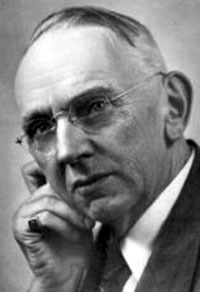 Most are located in the United States and Canada, but Edgar Cayce Centers are now found in 25 other countries. The Association for Research and Enlightenment (ARE), headquartered in Virginia Beach, is the major organization promoting interest in Cayce. Cayce's method of clairvoyance involved lying down and entering into a trance or sleep state, usually at the request of a subject who was seeking help with health or other personal problems (subjects were not usually present). The subject's questions would then be given to Cayce, and Cayce would proceed with a "reading". In the early part of Cayce's career, all readings were given on health issues; but then during a reading, Cayce asserted that the subject had at one time been a "monk" (presumably in a previous life), and after that Cayce gave both "health" and "life" readings, the latter involving a description of past lives and "karmic influences". Cayce said under trance; that his trance statements should be taken into account only to the extent that they led to a better life for the recipient: "Does it make one a better husband, a better businessman, a better neighbor, a better artist, a better churchman? If so, cleave to it; if not, reject it." Moreover, he invited his audience to test his suggestions rather than accept them on faith. Other abilities that have been attributed to Cayce include astral projection, prophesying, mediumship (communication with the dead), viewing the Akashic Records or "Book of Life", and seeing auras. Cayce became interested in learning more about these subjects after he was informed about the content of his "readings", which he reported that he never actually heard himself. Cayce gave perhaps 25,000-30,000 "readings" during a period of 43 years (1901 to 1944); however, until 1923, most were not preserved. Accordingly, only about 14,000 Cayce readings are currently available. When out of the trance he entered to perform a reading, Cayce claimed generally not to remember what he had said during the reading. The unconscious mind, according to Cayce, has access to information which the conscious mind does not — a common theory about hypnosis in Cayce's time. From the time Gladys Davis was hired as Cayce's secretary in 1923, all readings were preserved and his wife Gertrude Evans Cayce generally conducted (guided) the readings. 1877 to 1920—the Kentucky period. In December 1893 the family moved to Hopkinsville, Kentucky and occupied 705 West Seventh, on the south-east corner of Seventh and Young Street. During this time Cayce received an eighth-grade education; discovered his spiritual vocation; left the family farm to pursue various forms of employment (at Richard's Dry Goods Store, then in Hopper's Bookstore both located on Main Street). Cayce's education stopped with the eighth grade, not because of his incapability but because his family could not afford the costs involved. Additionally, at that time a great deal more advanced material (especially in mathematics and practical sciences) was presented at an earlier level in public schools; an eighth-grade education might be the equivalent of high school today, at least in some subjects, and was often considered more than sufficient for working-class children. Much of the remainder of Cayce's life would be characterized by a forlorn search for employment and/or money. Throughout his life Cayce was drawn to church as a member of the Disciples of Christ. He read the Bible once for every year of his life, taught at Sunday school, recruited missionaries, and is said to have agonized over the issue of whether his psychic abilities--and the teachings which resulted--were spiritually legitimate. In 1900 he formed a business partnership with his father to sell Woodmen of the World Insurance but was struck by severe laryngitis in March that resulted in a complete loss of speech on April 18. Unable to work, he lived at home with his parents for almost a year. He then decided to take up the trade of photography, an occupation that would exert less strain on his voice. He began an apprenticeship at the photography studio of W. R. Bowles in Hopkinsville. A travelling stage hypnotist and entertainer called "Hart-The Laugh Man," was performing at the Hopkinsville Opera House in 1901. He heard about Cayce's condition and offered to attempt a cure. Cayce accepted and the experiment took place on stage in front of an audience. Remarkably, Cayce's voice returned while in a hypnotic trance but disappeared on awakening. Hart tried a post-hypnotic suggestion that the voice would continue to function after the trance but this proved unsuccessful. Since Hart had appointments at other cities, he could not continue his hypnotic treatment of Cayce. However a local hypnotist, Al Layne, offered to help Cayce in restoring his voice. Layne suggested that Cayce describe the nature of his condition and cure while in a hypnotic trance. Cayce described his own ailment from a first person plural point of view — 'we' — instead of the singular "I." In subsequent readings he would generally start off with "We have the body." According to the reading, his voice loss was due to psychological paralysis and could be corrected by increasing the blood flow to the voice box. Layne suggested that the blood flow be increased and Cayce's face became flushed with blood and his chest area turned bright red. After 20 minutes Cayce, still in trance, declared the treatment over. On awakening his voice remained normal. Relapses occurred but were corrected by Layne in the same way and eventually the cure was permanent. Layne had read of similar hypnotic cures effected by the Marquis de Puységur, a follower of Franz Mesmer, and was keen to explore the limits of the healing knowledge of the trance voice. He asked Cayce to describe Layne's own ailments and suggest cures, and reportedly found the results both accurate and effective. Layne suggested that Cayce offer his trance healing to the public but Cayce was reluctant. He finally agreed on the condition that readings would be free. He began with Layne's help to offer free treatments to the townspeople. Reportedly he had great success and his fame spread. Reports of Cayce's work appeared in the newspapers, inspiring many postal inquiries. Supposedly, Cayce was able to work just as effectively using a letter from the individual as with having the person present. Given the person's name and location, he could diagnose the physical,mental conditions and provide corrective remedy. Cayce's accuracy in diagnosing the problems and providing effective cures made him more popular and soon people from around the world sought his advice through correspondence. Cayce's work grew in volume as his fame grew. He reluctantly asked for voluntary donations to support himself and his family so that he could practice full time. He continued to work in an apparent trance state with a hypnotist all his life. His wife and eldest son later replaced Layne in this role. A secretary, Gladys Davis, recorded his readings in shorthand. The trance reading produced a visible strain on Cayce's health. He attributed the occasional failure in his accuracy to the stress involved in his work. He was scrupulous in giving refunds to unsatisfied clients. The growing fame of Cayce coupled with the popularity he received from newspapers attracted several eager commercially minded men who wanted to seek a fortune by using Cayce's clairvoyant abilities. Even though Cayce was reluctant to help them, he was persuaded to give the readings, which left him dissatisfied with himself and unsuccessful. A cotton merchant offered Cayce a hundred dollars a day for his readings about the daily outcomes in the cotton market. However, despite his poor finances, Cayce refused the merchant's offer. Others wanted to know where to hunt for treasures; some wanted to know the outcome of horse races. Several times he was persuaded to give the readings as an experiment. However he was unsuccessful several times when he used his ability for such purposes. These experiments left him depleted of energy, distraught and unsatisfied with himself. Finally he came to the conclusion that he would use his gift only to help the distressed and sick. He was persuaded to give readings on philosophical subjects in 1923 by Arthur Lammers, a wealthy printer. While in his supposed trance state, Cayce spoke unequivocally of past lives. Reincarnation was a popular subject of the day, but is not an accepted part of Christian doctrine. Cayce reported that his conscience bothered him severely over this conflict. Lammers reassured and argued with Cayce. His "trance voice", the "we" of the readings, also supposedly dialogued with Cayce and finally persuaded him to continue with these kinds of readings. In 1925 Cayce reported his "voice" had instructed him to move to Virginia Beach, Virginia. Cayce's mature period, in which he created the several institutions which would survive him in some form. By this time he was a professional psychic with a small staff of employees and volunteers. The "readings" increasingly came to involve metaphysical or esoteric themes. In 1929 the Cayce hospital was established in Virginia Beach sponsored by a wealthy beneficiary of the trance readings, Morton Blumenthal. Cayce gained national prominence in 1943 through a high profile article in Coronet. Feeling he couldn't refuse people who felt they needed his help so desperately, he increased the frequency of his readings to 8 per day to try and make an impression on the ever growing pile of requests. Eventually this took a toll on his health, as he said that it was emotionally draining and often fatigued him. The readings themselves scolded him for attempting too much and warned Cayce that more than 2 readings a day would start breaking down his physical health and would result in his death. Unfortunately when he finally stopped in order to recuperate his failing strength, it was too late. 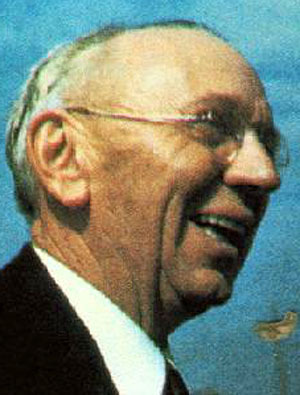 Edgar Cayce suffered a stroke on January 2nd, 1945. He died a day later on January 3rd. 1877 Born March 18 into a farming family in Beverly, seven miles south of Hopkinsville, Kentucky. 1887 Volunteers as church sexton, the first of many church roles. 1889 Resolves to read the Bible cover-to-cover once each year (and does so). 1890 Baptised at 13, experiences angelic vision. "Spelling book incident," in which he remembers contents of speller after sleeping with it under his pillow. 1892 Knocked unconscious while playing baseball; suggests application of poultice. The incident is later remembered as a possible first "reading." 1893 Family moves to Hopkinsville, followed later by Edgar. First love (Bess). Works for a dry goods store and bookstore (the Hopper store). 1895 Meets Dwight L. Moody. 1897 Engaged to Gertrude Evans. 1898 Moves to Louisville, Kentucky where he works for a book wholesaler (the Morton store). Meets a woman named Margaret from a wealthy family. Some allege they had an affair. 1900 Returns to Hopkinsville. Forms business partnership with his father to sell Woodmen of the World Life Insurance but was struck by severe aphonia or laryngitis that prevented him from performing sales work. Begins apprenticeship in Bowles photography studio. 1901 A travelling stage hypnotist and entertainer called "Hart-The Laugh Man" hears about Cayce's condition and offers to attempt a cure. Cayce accepts and the experiment takes place on stage in front of an audience. Cayce's voice returns while in a hypnotic trance, but disappears on awakening. Another hypnotist, Al Layne, works with Cayce to restore his voice. Layne gives hypnotic suggestion that Cayce describe the nature of his condition and cure. According to the reading, his voice loss was due to psychological paralysis and could be corrected by a suggestion to increase the blood flow to the voice box. This treatment was largely successful. 1902 Moves to Bowling Green and works at bookstore there (the Potter store). 1907 Son Hugh Lynn Cayce born. 1910 Dr. Wesley Ketchum mentions Cayce in an article to the American Society of Clinical Research. New York Times reports in article entitled Illiterate Man Becomes A Doctor When Hypnotized, Cayce's career as a psychic and healer begins in earnest. People begin to visit him at his house in Kentucky. 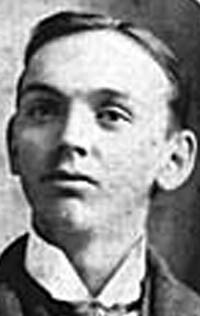 1911 Son Milton Porter Cayce born; dies in infancy. 1915 "Graveyards of the world" vision; last recurrence of aphonia. 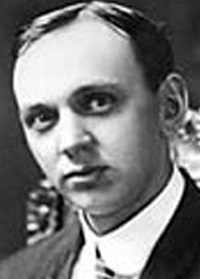 1918 Son Edgar Evans Cayce born. Cayce rumored to have visited Washington to give readings for President Wilson's administration, possibly on the Fourteen Points. 1920 to 1923 Cayce and friend David Kahn go to Texas to look for oil (using Cayce's abilities). Results inconclusive, but at any rate do not get them rich. At this time some allege that Cayce had several affairs and a falling-out with Gertrude. 1923 Reconciles with Gertrude. Hires Selma, Alabama native Gladys Davis as stenographer. Some suspect Cayce and Davis of having an affair, but a medical examination conducted after Cayce's death to treat Davis's uterine cancer allegedly showed that she was still a virgin at that time. In Dayton, Ohio gives readings for Arthur Lammers, a wealthy printer, on metaphysical or esoteric topics. On awakening, is reportedly astonished to learn that the trance source accepts reincarnation and astrology as parts of Christianity. Cayce had had a number of previous contacts with astrologers, Theosophists, and the like. 1925 Moves to Virginia Beach, based on instructions from his "voice". By this time Cayce is a full-time professional psychic. 1927 Founds "Association of National Investigators" (ANI), a membership organization devoted to Cayce's work. Main sponsors are Morton and Edwin Blumenthal; David Kahn remains a major influence. 1928 Cayce Hospital for Research and Enlightenment established in Virginia Beach, with 60 beds. 1931 ANI disbanded; hospital folds due to conflicts with donors and the Great Depression. A new organization, the "Association for Research and Enlightenment," forms with much the same purposes. "Study Group #1" begins meeting. 1932 Atlantic University folds. First ARE Congress held (attendance: 16). 1933 Gives reading 3976-13 in November, which praises Adolf Hitler. 1934 Gives reading 3976-15 in January, which calls into question Hitler's destiny because he has allowed imperialism to enter in. 1938 Gives reading 1554-3 in March, which calls Germany "a smear upon its forces for its dominance over its brother; a leech upon the universe for its own sustenance." 1939 Gives reading 257-211 in September, less than a month after the beginning of World War II, which states that Hitler's future will be "death." 1942 First "Search for God" book published. 1943 Cayce gains national prominence through high-profile articles by Margueritte Harmon Bro in Christian Century and Coronet; and then by Thomas Sugrue's book There Is a River. Increases the frequency of his readings to 8 per day to try to keep up with the level of interest. 1944 Suffers stroke, enters coma in December. 1945 Dies January 3, Gertrude dies three months later. Hugh Lynn Cayce returns from the war to rally ARE members. 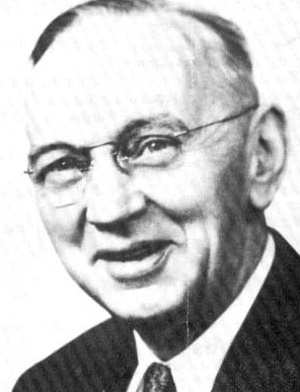 1947 Edgar Cayce Foundation established; to this day it claims the copyright to the Cayce readings. Its board of trustees once overlapped, and is now identical, with that of the ARE. 1950 Gina Cerminara's Many Mansions and Morey Bernstein's Search for Bridey Murphy published. 1955 University of Chicago accepts the first doctoral dissertation on Cayce: Harmon H. Bro's Charisma of the Seer. 1956 ARE buys the former Cayce Hospital building for use as headquarters; some members live on-site. 1958 The ARE Summer Camp for children is started. Participants stay in the hospital. 1959 to 1960 Cayce readings microfilmed by Remington Rand Corp..
1966 The ARE Summer Camp opens in its new location near Rural Retreat, VA.
1967 Jess Stearn's Sleeping Prophet published. 1971 Indexing of Cayce readings completed; "circulating files" compiled and circulated among ARE members. 1976 Hugh Lynn Cayce retires. Leadership of ARE passes to his son (and Cayce's grandson) Charles Thomas Cayce. 1982 Hugh Lynn Cayce dies. 1984 First issue of Cayce magazine Venture Inward. While there have been many newsletters and magazines, this one is the longest-running. 1986 Gladys Davis (later Gladys Davis Turner) dies. Hopper's Bookstore in Hopkinsville where Cayce worked for many years as a young man specialized in occult and osteopathic works and he may have consciously or otherwise absorbed much of this material. However, knowledge of this material cannot account for most of Cayce's specific diagnoses, such as directing that osteopathic adjustments be given to a developmentally-delayed and seizure-ridden child named Aime Dietrich. She was restored to normal health by Cayce-directed treatments after conventional doctors had pronounced her case hopeless. Regardless of the accuracy of the information Cayce provided, those who accept that Cayce was unconscious during his "trance" state generally agree that Cayce was not likely to have been an intentional fraud. Gina Cerminara published books such as Many Mansions, The World Within and Many Lives,Many Loves which provide compendious information about Cayce's works and buttress his claimed abilities with real life examples. "Cayce once gave a reading on a blind man, a musician by profession, who regained part ot his vision in one eye through following the physical suggestions given by Cayce. This man happened to have a passion for railroads and a tremendous interest in the Civil War. In the life reading which Cayce gave, he said that the man had been a soldier in the South, in the army of Lee, and that he had been a railroad man by profession in that incarnation. Then he proceeded to tell him that his name in that life was Barnett Seay, and that the records of Seay could still be found in the state of Virginia. The man took the trouble to hunt for the records -- and found them, in the state capitol at Richmond: that is to say he found the record of one Barnett Seay, standard-bearer in Lee's army who had entered and been discharged from the service in such and such a year." In the late 50's, the ARE opened a summer camp for teens based in the Hospital Building. In the early 60's it moved to its current location in the mountains of southwest Virginia. The summer camp focuses on giving children and families a chance to experience the lifestyle recommended in the Cayce readings, especially in the areas of diet, health, exercise, and nature. While the camp does have a strong focus on spirituality, it does not stress any one religion (or even religion in general) in particular, preferring, instead, to offer "a buffet of spirituality" as it were. 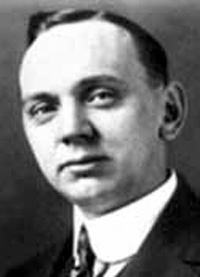 The story of Edgar Cayce properly belongs in the history of hypnosis. Cayce had the unusual ability of inducing out-of-body experiences using a form of self-hypnosis. His out-of-body journeys were identical to near-death experiences with the exception that he was not clinically dead. Indeed, one does not need to be dead to have a near-death experience. There are many ways to induce your brain to free your consciousness and I have a whole list of them on my NDE Triggers web page. During a hypnotic trance, Cayce was able to speak in an authoritative voice on subjects far beyond the range of his normal knowledge. Except for the Bible, he was not an avid reader of books. While in a deep trance, all he needed was to be given the subject to be discussed, or the inquiring person's name, address, and whereabouts, by a conductor to make suggestions and ask the questions, and a stenographer to take it all down. Almost every day for forty-two years he had out-of-body journeys in order to answer questions covering an immense range of subject matter. He could do this at any time, any place. Persons from all walks of life came to him for help or advise. Among them were a movie producer, an actress, a top steel magnate, a U.S. Senator, a Vice-President of the United States; parents, the sick, the lame, the disturbed. His strange gift of clairvoyance has never been duplicated in modern times, although a few other psychics have proved a measure of ability beyond any doubt. The Cayce records are unique. Twenty million words from an unconscious mind is not a commonplace. If they can be believed, new frontiers wait to be explored. Clairvoyance, clairaudience, dreams, hypnotism, point the way to a better understanding of the history and depth of the human mind and soul. A challenging field lies before humans in their search for truth and the meaning of human existence in earth. Cayce was born on a farm near Hopkinsville, Kentucky, in 1877. A poor student, he received no more than a grammar school education, and eventually took up photography as a trade. His psychic powers were accidentally discovered in 1901, when he was twenty-four. He caught a cold and suddenly lost his voice. After a year of numerous and unsuccessful medical treatments, he became resigned to a life of rasping whispers. About this time hypnotism was enjoying a fad throughout the country, and a friend suggested that he try it as a means of helping his condition. Cayce was willing to try anything that might cure his throat. A local hypnotist offered his services, and Edgar readily accepted. He insisted, however, that he put himself to sleep, with the friend making the suggestions after he was "under". The experiment proved to be more than successful. Cayce went into a deep trance and described the condition in his vocal cords, advising, strangely enough, what to do for it. The advice was followed by the hypnotist - that of suggesting the blood circulation increase to the affected area - and when Cayce awakened he had regained his normal speaking voice. After a number of follow-up sessions, the cure turned out to be a permanent one. Cayce, his family and his friend were astounded. When word got around of this unusual occurrence, he was besieged with requests by the sick to try his diagnoses and curative methods on them. He was reluctant to attempt anything of the kind. In the first place, he was uneducated and knew nothing of medicine or anatomy in his waking state. After all, he had no idea what went on while he was asleep. In the end, however, he gave his consent, and his misgivings proved unfounded. In most of the cases that were presented to him, the celebrated psychic never met the persons making the requests. They were received through the mail; the recipients of the readings were usually hundreds of miles away. All Cayce needed was the full name of the person, his address, and where he would be at the appointed time of the reading. Lying on the couch with his necktie and shoelaces loosened - for better circulation, the readings said - he could answer any question put to him. His wife, Gertrude, usually made the suggestions and asked the questions, while his lifelong secretary, Gladys Davis, took everything down in shorthand. After a while, the sleeping Cayce would start to mumble, as though searching for something. Then he would clear his throat and speak in a firm, authoritative voice. "Yes, we have the body," he would begin, and then go into a half-hour discussion of the physical condition of the person who was ill. But in 1923 a startling new kind of reading was discovered. Cayce was operating a photographic studio in Selma, Alabama, when one day he met Arthur Lammers, a well-to-do printer. His hobby was metaphysical philosophy, and what he wanted to know was far beyond the range of Edgar's normal thinking. "What is the meaning of life?" he asked. "What is the real nature of man? What is the meaning of birth and death? Why are we here? Cayce accepted Mr. Lammers offer to explain these mysteries through his powers of hypnosis. What followed was the beginning of the metaphysical thought that emerged from 2,500 "Life" readings (information about a person's past lives), as distinguished from the "Physical" readings (medical diagnosis and cures) he had previously been giving. For Cayce, this was the beginning of another period of tortuous self-doubt. Brought up in an atmosphere of strict, orthodox, Protestant Christianity, he was uninformed on the other great religions of the world and their similarities with his own. What the readings now said seemed foreign to everything he had been taught and had been teaching in his Sunday school classes for many years. The essential principles of the great religions, said the readings, were nevertheless all the same - they were only clothed in different garments. Cayce withheld judgment on the point for a long time. In the end he and those close to the work came to accept reincarnation. It was improvable of course, but in provable instances the readings had shown themselves to be honest if not infallible. The answers were consistent. Eventually, somebody thought to ask the sleeping Cayce where he was getting his information. He gave two sources his mind apparently succeeded in tapping. One was the unconscious or subconscious mind of the subject himself; the other was what was called the universal memory of nature, Jung's Collective Unconscious, or the Akashic Records. This is the "Recording Angel", or the "Book of Life". 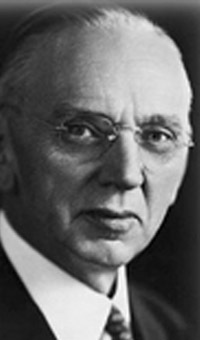 Say the Cayce records: "Edgar Cayce's mind is amendable to suggestion, the same as all other subconscious minds; but in addition thereto, it has the power to interpret to the objective mind of others what it acquires from the subconscious minds of other individuals of the same kind. The subconscious forgets nothing. The conscious mind receives the impressions from without and transfers all thought to the subconscious, where it remains even though the conscious be destroyed" as in death. 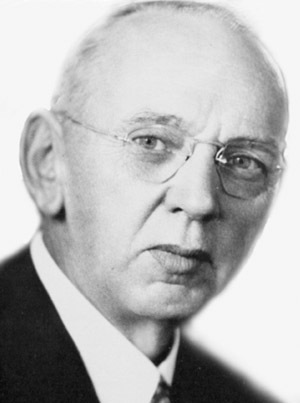 The readings also say, "The information as obtained and given by this body [Edgar Cayce] is gathered from the sources from which the suggestion may derive its information. In this state the conscious mind becomes subjugated to the subconscious, the superconscious, or soul mind (the spirit), and may and does communicate with like minds, and the subconscious or soul force becomes universal. From any subconscious mind information may be obtained either from this realm or from the impression as left by the individuals that have gone before. As we see a mirror directly reflecting that which is before it - it is not the object itself, but that reflected." This is a new idea. If it is true, then Cayce's mind was able to tap the mass of knowledge possessed by millions of other subconscious minds, including those who have passed over to the spiritual, cosmic realms in death. This would be an almost unlimited source of wisdom, since it was universal and Cayce was unhindered by time and space. Upon this "Akashic record" is supposedly registered every sound, every thought, every vibration since the beginning of time. Cayce, then was no "medium." When this idea first appeared in a reading, few, including Cayce, could believe it. Science knew nothing of any such etheric substance. Newspaper headlines did not affect him as offers of fame and large sums of money came. Although he never earned more than a modest living at best, he turned down all efforts by others to commercialize on the readings. Desperately poor at times, he once flatly refused an offer of $1,000 a day to go on the stage. Simple in his tastes, he was an expert fisherman and a horrible golfer. He loved to talk about the Bible and would preach a sermon at the drop of a word. By 1944 he was a year behind in appointments and suffering from over-exertion and edema of the lungs. A stroke confined him to bed. At the age of 67, he never recovered. His last reading, given for himself, was not followed by the doctors in charge. On January 3rd, 1945, Cayce passed over to the other side. No person ever left the world a stranger legacy.